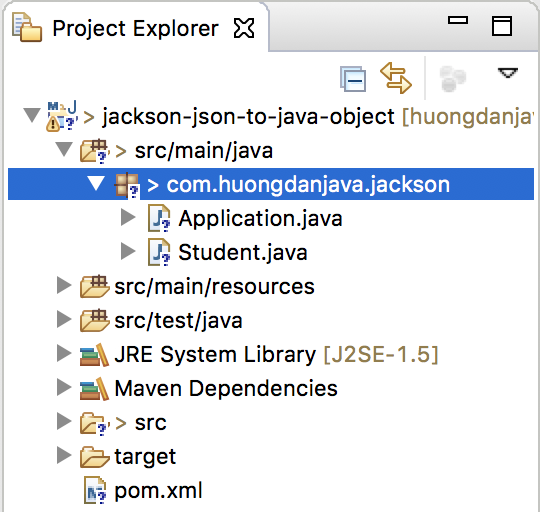 In my previous tutorial, I showed you how to convert Java object to JSON using the Jackson library. So what if we wanted to do the reverse, ie converting JSON to Java object? In this tutorial, we will learn more about that. Currently, the latest version of Jackson is 2.9.4. 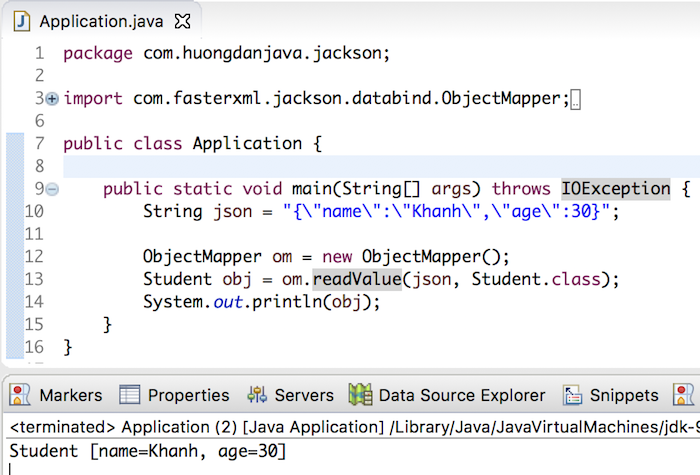 And the Student class is the object that will store the converted information from the JSON string. OK, now we can start our main mission.